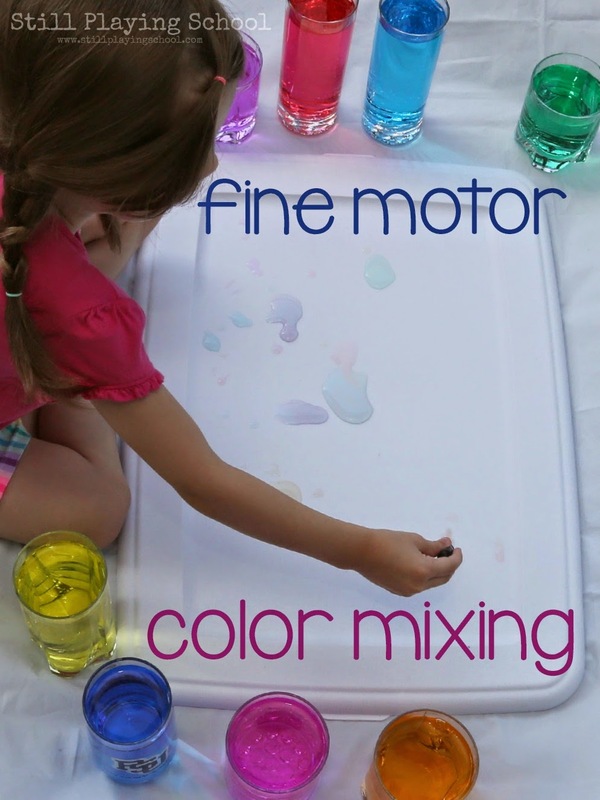 Rainbow water invites kids to experiment with color mixing in a hands on way! 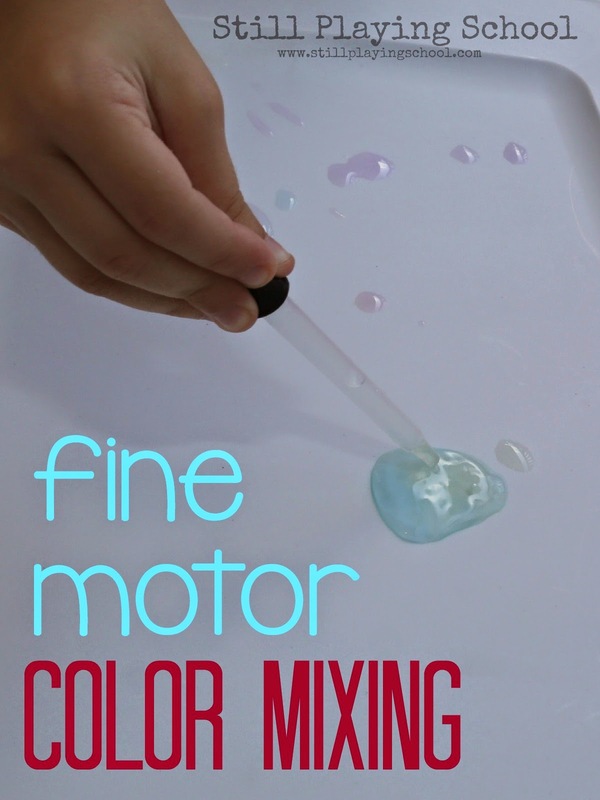 An eye dropper adds fun fine motor work. 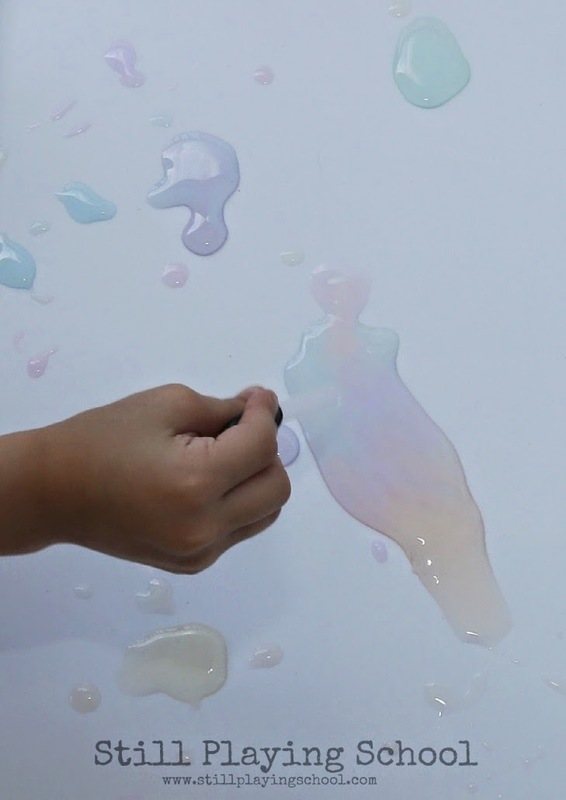 We used a few drops of liquid watercolors to mix our colored water. 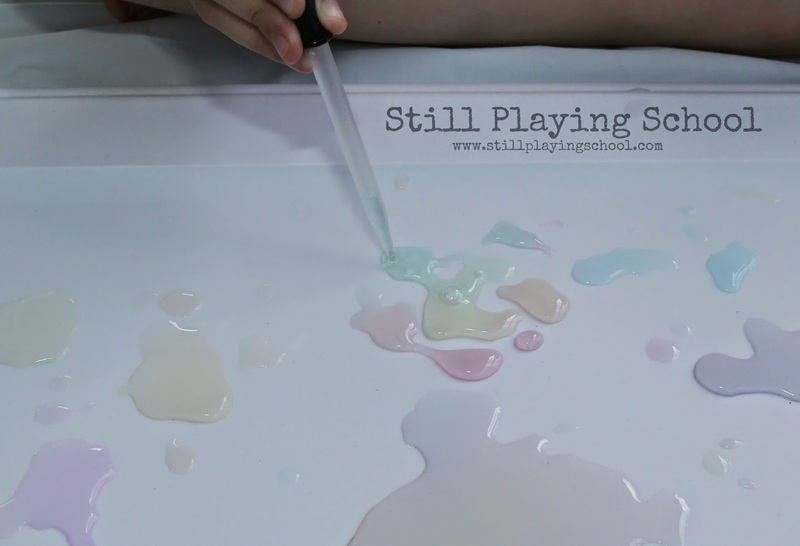 Using an eye dropper we put a single drop of each color on a plastic lid from a storage bin. 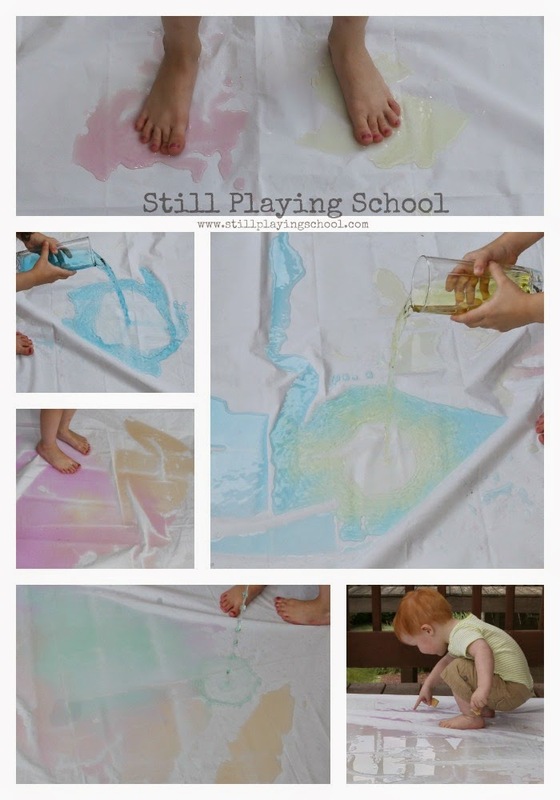 The colors popped as the water pooled on the white surface! Our preschool daughter E used a large milkshake straw to move her colored rainbow water and blend the colors! 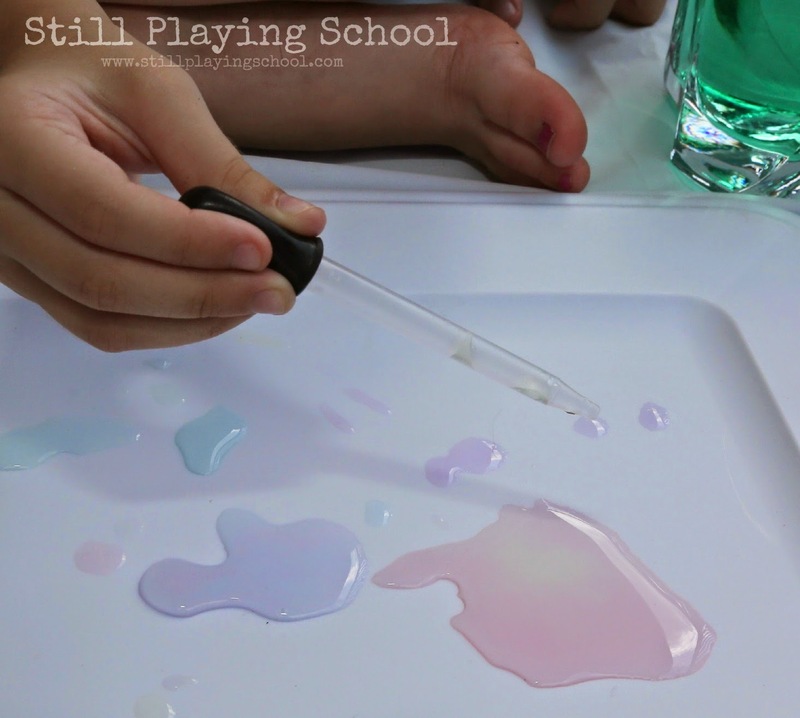 Next she experimented with fine motor color mixing herself with the eye dropper and her palatte of rainbow water! The vivid colored water was stunning to watch mix and blend together to form secondary colors. This activity was the perfect outside on a warm day! 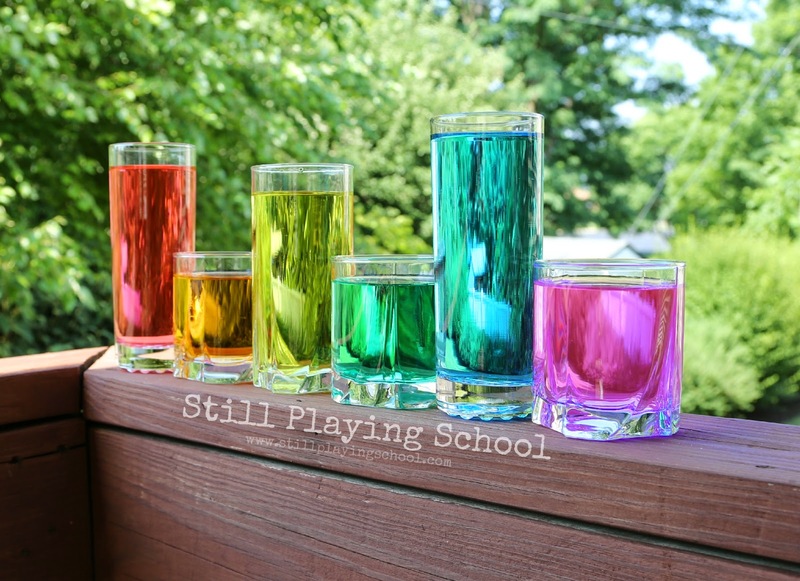 For all of our play based learning actvities please follow Still Playing School on Facebook, Pinterest, Google+, Instagram, & Twitter!